In post published yesterday titled ‘Fukushima – Lifting the lead on radiation levels’, I discussed how the Japanese government and some nuclear industry companies with everything to gain or lose, have raised the bar when it comes to the levels of permitted radiation for workers, lifting exposure limit from 100 millisieverts to 250 millisieverts. When contested by companies contracted by TEPCO supplying workers to deal with this crisis, the government argued back justifying their action saying they are following the ‘International Commission on Radiological Protection’ guide lines, which sets the upper limit in an emergency situation to a dose of 500-1,000 millisieverts. “One worker fell ill during the work on Sunday, the company said. The man, in his 30s, was placing hoses for collecting the contaminated water from reactor No. 2 when he became ill, nearly two hours into his shift. It is funny how rulers, oops… ‘democratic leaders’ of the developed world, present themselves as defenders of FREEDOM every time they wish to drive public opinion to support going to war defending other nations’ FREEDOM. Yet for all the talk of FREEDOM, at home we are living in a society where FREEDOM is highly regulated. To illustrate how ridiculous it can get, take England for example; working in an office, you will be forbidden to change a light bulb UNLESS, you have done a training course on how to climb a ladder and have the certificate to prove it. In a CNN interview today John King talks to Arnold Gundersen of fairewinds. Gundersen explains how the hydrogen explosion in reactor 2, caused a breeched in containment leading to radioactive water filling the trenches and leaking into the ocean. 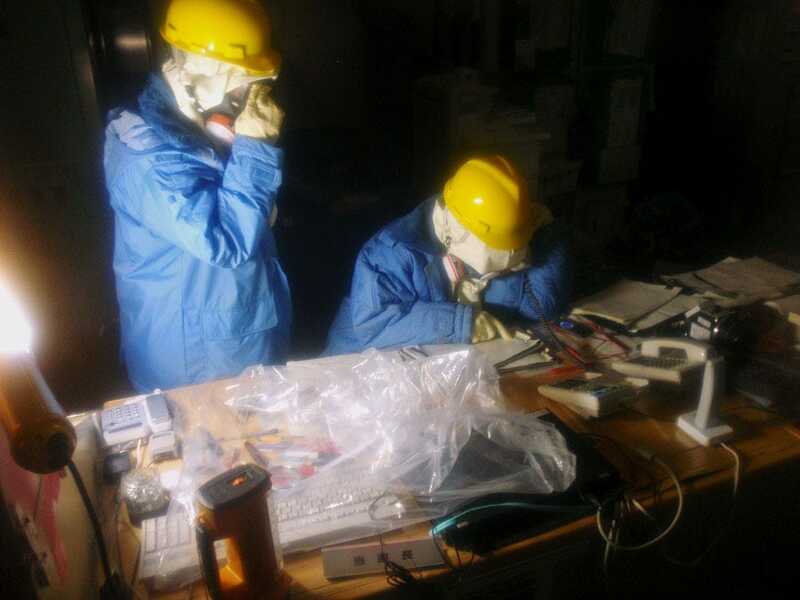 Fukushima- Is reactor no 1 undergoing periodic Nuclear Fission? As reported in an earlier post some evidence emerging from few sources has lead experts to speculate that the reactor core in Unit 1 is still undergoing periodic Nuclear Fission. Today Tokyo Electric Power Co. announced they are to inject nitrogen into reactor unit 1 at the crippled Fukushima Daiichi nuclear power complex, aiming to reduce the risk of a hydrogen explosion.